I love it when I find a teaching tool which has so many benefits! 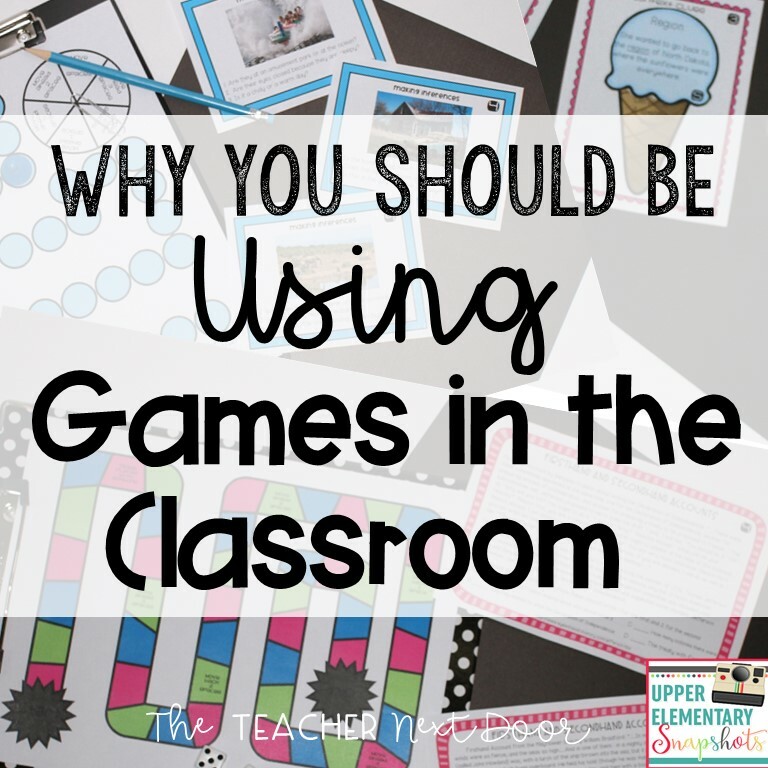 Playing games in the classroom is actually one of my favorite teaching tools because besides being fun, it helps kids in so many ways. 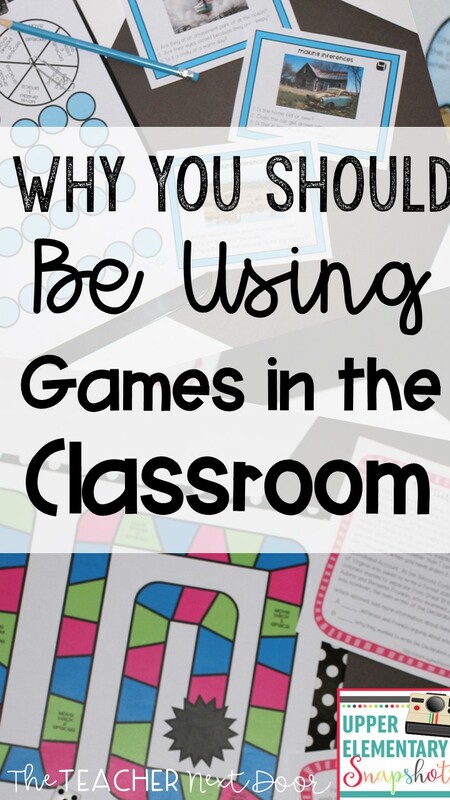 There are lots of different kind of games, from digital, to whole class, to board games, and each is beneficial in different ways. In this post, I'll share some of the reasons low-tech board games for learning can still be a valuable tool in every classroom. 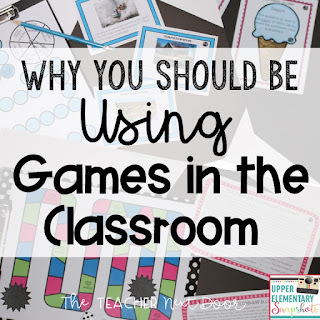 Board games allow teachers to add variety to the types of activities offered in the classroom, and games add a certain excitement to the classroom! Best of all, even though the game may be a learning game, to students, board games feel like play. This element of fun may mean that kids have more buy-in for the activity and are more apt to be attentive. Also, we all know those kids who thrive on competition (for the smallest of reasons), so for some kids, the simple addition of a bit of healthy competition may also increase engagement. As teachers, one of our goals is for students to learn as much as possible, and board games are a great way to reinforce the concepts we've been working on in a focused way. I love that the very nature of board games means that the targeted skill is presented over and over in one setting, which makes it very time efficient too. Board games may be used for students in a multitude of levels. They may be used for intervention work, whether the setting is one on one or a small group. They're also great to extend learning and may be used for enrichment. Setting out challenging games for early finishers to use, is an easy way to add some higher level enrichment activities for these children. 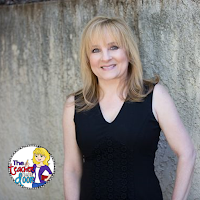 It seems like in every class, I've had kids who are struggling academically or who have such severe attention difficulties, that completing traditional independent work, like worksheets, can be very frustrating for them. Of course we do our best to use a variety of learning activities and to modify and differentiate when we can. Board games though, often seem less daunting to these students because the text is brief, making them feel that the task before them is more manageable. Another benefit of board games for kids who need help, is to pair them with helpful (and more advanced) students as partners, when playing games. Ideally, the stronger student will be able to lead his/her partner to find the correct answer, and to help deepen the child's understanding of the concept. Although digital games can be very useful, one advantage board games have over many online games is the opportunity for students to interact with one another in a face to face setting. This provides the perfect opportunity for kids to practice skills like taking turns, following agreed upon rules, using cooperation and sometimes even collaboration. Board games also allow kids to practice learning to compete while not giving up, and the art of winning gracefully. Character traits such as perseverance, patience, responsibility, fairness, and self-discipline are all an inherent part of playing games. To me, these traits are extremely important, and shouldn't be discounted. Interestingly, many studies have shown that these social and emotional skills have a stronger correlation to success than a person's IQ (Center for Creative Leadership, Hay/McBer Research and Innovation Group, The Carnegie Institute of Technology...). Students aren't the only ones who benefit from board games! While playing board games, teachers are able to gather important information about their students by walking around the room, listening, and observing. We can see which students have mastered a certain skill, and which students still need extra help. We can also sometimes see specific areas we may need to re-teach for the whole class, or students who might benefit from some extra one on one help. 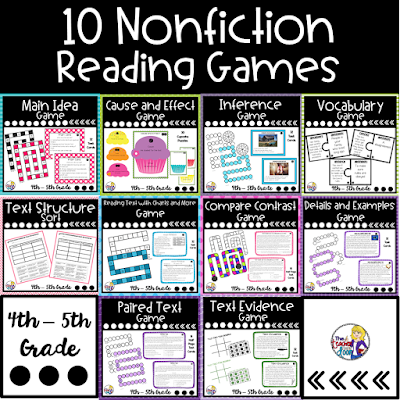 In addition, for teachers who use games as part of a center or station rotation, the games allow the teacher to be able to work with a small group, while another small group is busy playing a learning game. 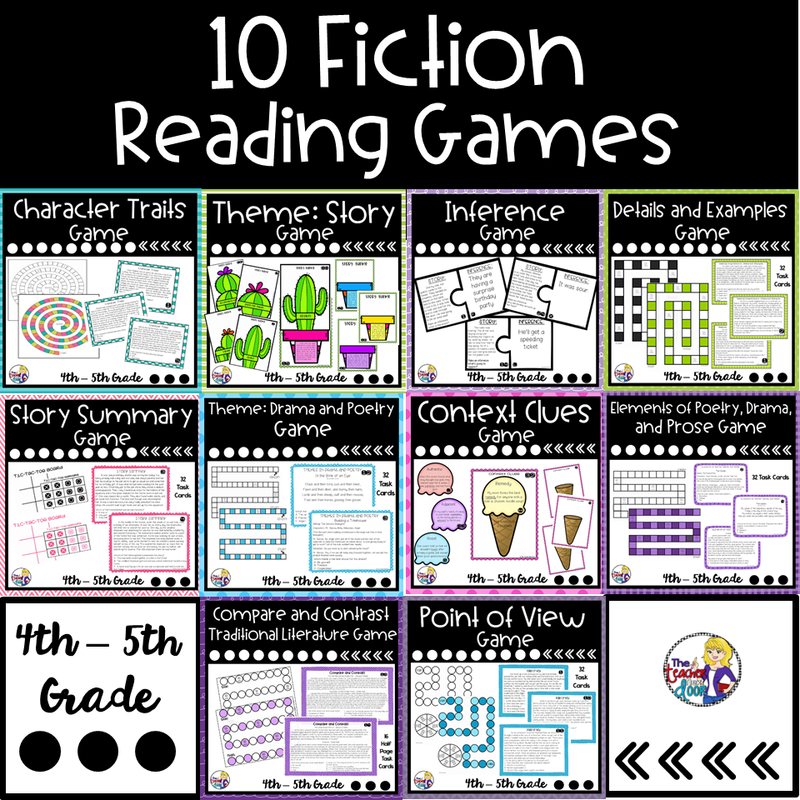 If you're looking for some ready made reading games for 4th/5th grades, these cover ALL STANDARDS for the entire year and come with everything you need. 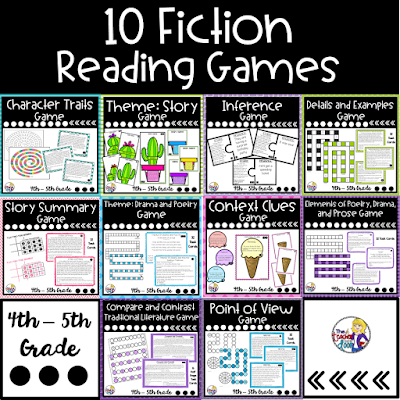 There's a Fiction Set of 10 games, and a Nonfiction Set of 10 games but the discounted Bundle of 20 Reading Games is a great price and is my favorite. 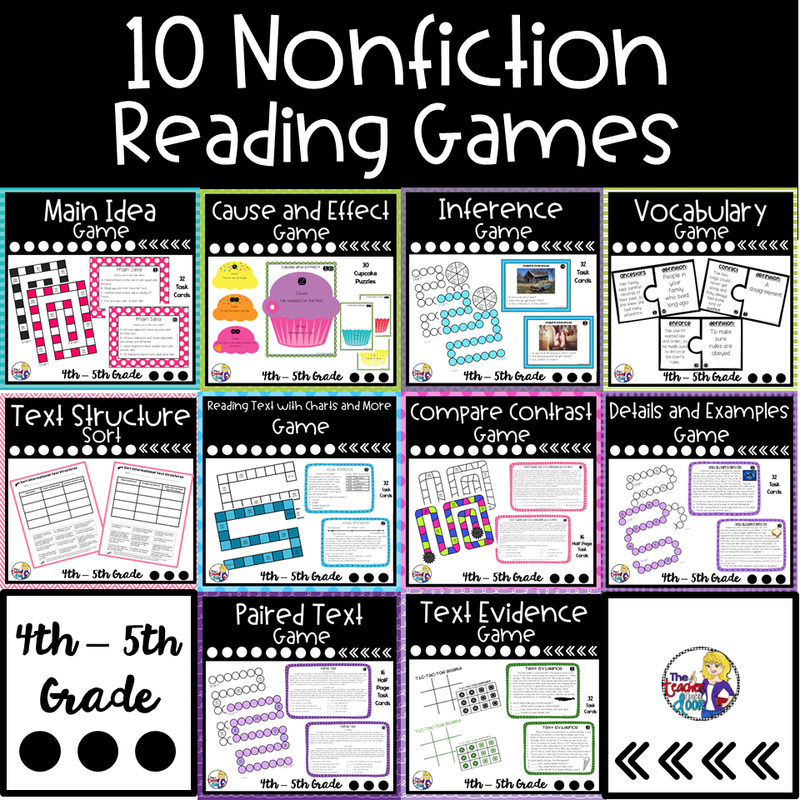 There is also a similar set for 3rd grade: Fiction Set of 10 Games for 3rd Grade, Nonfiction Set of 10 Games for 3rd Grade, and Bundle of 20 Reading Games for 3rd Grade. 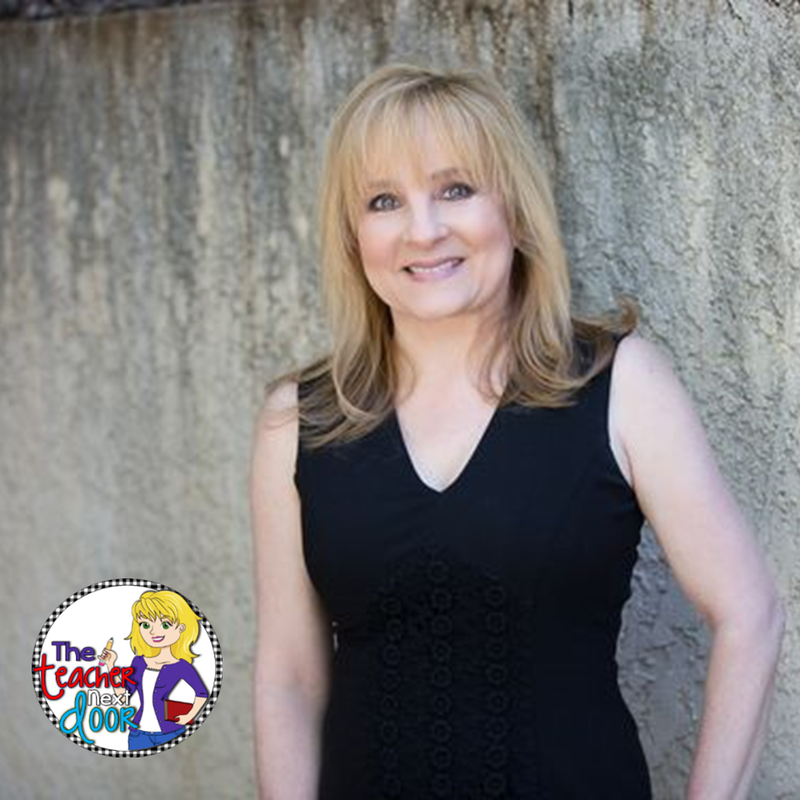 If you like this post, make sure to share it with a teacher friend! Thanks so much for stopping by!